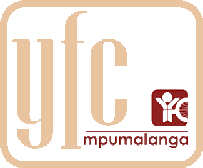 Youth for Christ Mpumalanga relies almost entirely on the gifts of private donors. Your generous donation will see more young people in Africa know God, find their purpose and share His love with others. Our supporters funding us tend to fund the project, and whilst we appreciate every bit of funding we receive our infrastructure needs to operate full time in order for us to reach our objectives. This is where we need to increase our support base. Without the senior leadership and administrative staff, the organization can not function. A general monthly contribution for us to spend as we need it. Don’t ever think your contribution is too small!! We need every little bit. God looks at the heart of the giver and will bless you and us according to His riches in grace. Although we appreciate monetary contributions, we accept any donations as you see fit, albeit once-off funds in goods, food or equipment. The donation opportunities are endless. From time to time we need furniture, baby clothing, computers, stationary, paint and many more. Contact us and we will let you know where/what the need is. This is a very important need. We need to create a database of people who feel lead to pray for us on a regular basis. So if you would like to be on the list of our intercessors, we will inform you regularly to let you know what we need prayer for and update you of what’s happening. Contact Sonia at sonia@yfcmpu.co.za, tel: 013-7526445 or 082 3357577. We welcome all correspondence with suggestions, support or queries. We are always looking for creative ideas to ensure optimum quality service. Here you may comment and request or sign up for our monthly Newsletter via email. Our thanks for your participation and interest in YFC Mpumalanga.